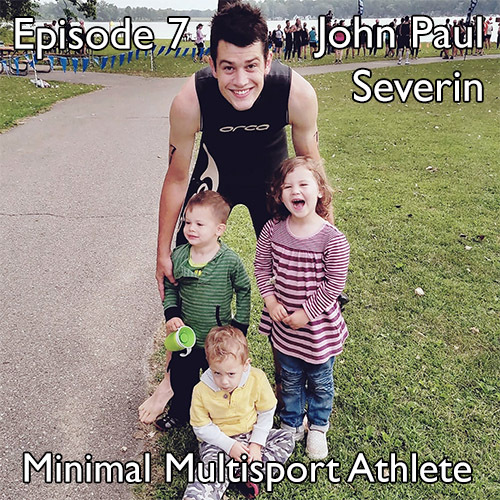 This episode of the Minimal Multisport Athlete Podcast is with my friend John Paul Severin. John is a longtime triathlete (and athlete in general), who I met while racing in college. We have a similar outlook on life and have both taken steps to simplify our lives as we move into real adult life in our 30s. -How he prioritized the most important ‘jobs’ that his equipment needed to do. -How having a couple sets of different tires can completely change the capability of one bike. -How simplifying his equipment has allowed him to bring a sense of fun and joy back into exercise – ultimately leading to better longevity in the sport, and overall health. Thank you for supporting the show by shopping through our Amazon affiliate banner at the bottom of this page!